Dielectric cure monitoring is extremely cost-saving in its approach as it uses the same set of measurements and sensors to operate different applications, in manufacturing, research and quality control. It is compatible with other laboratory tests like differential scanning calorimetry (DSC) or dynamic mechanical analysis (DMA). This allows it to connect information gained in the research arena to the workplace, and then to the manager in charge of product quality. The pioneering role of D-DEA is in observing a number of locations in large structures such as composite beams or wind turbine blades, as well as components in space ships and aircraft that use many sensors but need extension cables. As shown in Figure 2, the LT-439 is a compact and inexpensive device meant to monitor thermoset curing in different processes of manufacture, quality assurance and research areas. It is compatible for use with single- or multiple-use dielectric and conductivity sensors as seen in Figure 3, making it an all-round useful instrument in processing. The measurements obtained with the LT-439 can be transmitted to a control network via the standard model’s RS-232 serial port or the optional RS-485 serial port. Each of these instruments can be linked to a single thermocouple and a single dielectric sensor. In this way one RS-484 line can be used to support 256 dielectric channels. In this way it is flexible enough to avoid the need for multiple cables, permitting parallel monitoring of multiple cure processes using different channels, at any point in a big component. The standard LT-439 dielectric channel has the following frequencies of excitation: 10 Hz, 100 Hz, 1 kHz, and 10 kHz. It is possible to use the extended frequency option to enlarge this range from 1 Hz to 10 kHz, making supplementary frequencies available within each step-up range of 10. The range of productivity for high value products can be instantly boosted using dielectric cure monitoring. This includes the production of wind turbine blades, which are usually over 50 cm long and are molded to form. The blade has varying thickness and correspondingly different exotherm throughout processing at different parts along its length. This leads to different cure rates along its length, as well. The best demold time must be determined by each manufacturer using the highest level of skill on hand. If the component is removed from the mold too soon, the blade may break because of inadequate stiffness. However, too late removal causes the throughput to go down. This can be improved by putting in dielectric sensors at various important points along the whole length of the blade, for example, every five meters. This helps to measure how much time is necessary for the right level of curing to take place at each of these points, when the turbine blade is ready to be demolded. This can increase the profitability of this process even when the output of the unit is only one or two blades in a week. Another related concept is closed loop process control which is also linked to productivity. The rate of cure varies with the different points on a large structure with different components, like a bridge beam, a wind turbine blade, or aircraft fuselage. This is due to variations in the heat conditions and thickness. When different sections in a large component are heated separately as in Figure 4, the dielectric measurements will provide feedback for a control system. This will help to control the temperatures, and so optimize the throughput, since the rate of curing is now uniform across all the different sections. The use of D-DEA via an LT-439 dielectric channel is a revolutionary method for dielectric cure monitoring for any large structure that has a composite structure, such as a wind turbine blade. The positioning of inexpensive DEA devices along the structure at various points of key importance allows D-DEA to be carried out without any expensive instrumentation or long extension cables to connect the sensors, which would weaken the signal reaching the base instrument. Making use of a process control network allows up to 256 LT-439 dielectric channel units to be linked to it, which means that curing can be monitored at several points up to about 1890 m away from the base instrument. DEA is a basic electrical measurement and therefore its use does not require additional devices. Instead, the same techniques and sensors that are already in use for manufacturing, quality assurance and research areas are put to use here. It is also compatible with other measurements obtained by laboratory testing such as DMA and DSC. This facilitates the role of DEA as the key link between the data generated in the research lab and the actual work area, as well as connecting the latter to the product quality manager. This information has been sourced, reviewed and adapted from materials provided by Lambient Technologies. 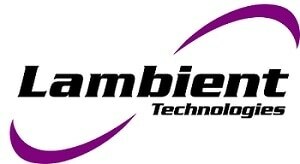 For more information on this source, please visit Lambient Technologies.